Zaha Hadid Architects' sculptural Melbourne tower given green light Archi-new - Free Dwg file Blocks Cad autocad architecture. Archi-new 3D Dwg - Free Dwg file Blocks Cad autocad architecture. The Victorian government in Australia has given the go ahead for a AUS$300m mixed-use tower designed for Melbourne by Zaha Hadid Architects and Plus Architecture. 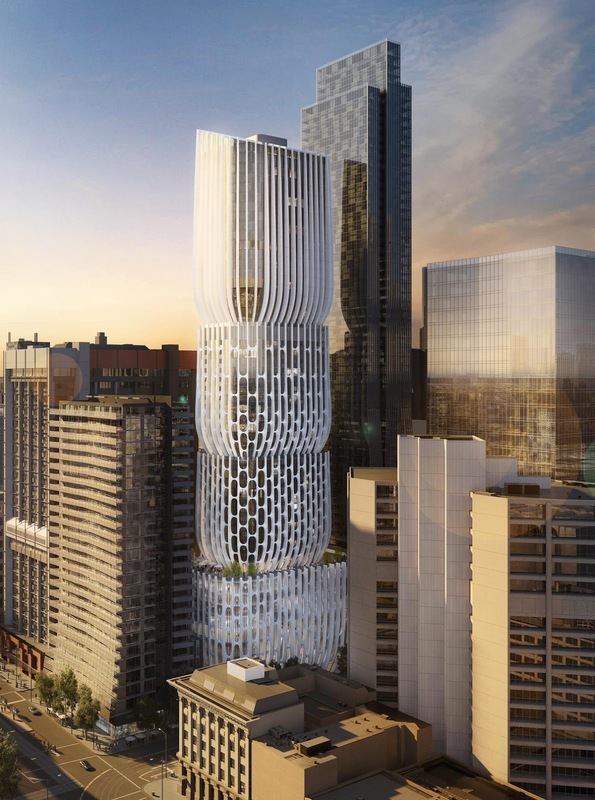 The decision whether or not to approve the 54-storey building – which has been designed as a series of four tapered vase-inspired volumes – was deferred to Victoria’s planning minister by Melbourne’s planning advisory committee due to the size of the scheme. The proposal was assessed under the central city interim build form controls, which stipulate a maximum plot ratio of 24:1. The design was altered to reduce the building’s height from 185.5m to 176m to avoid overshadowing the River Yarra’s north bank. Although this iteration of the designs still slightly exceeds the plot ratio limit, it has still been approved due to the public realm benefits it offers. Leisure spaces will include a large plaza, a publicly accessible terrace and a ground floor art space, as well as new pedestrian links on Collins Street in the city’s Central Business District. Apartments, offices and retailers will also feature in the tower, which is being developed by Landream at a cost of AU$300m (US$226.4m, €205m, £175.3m).